Easter weekend is always an exciting time for us. 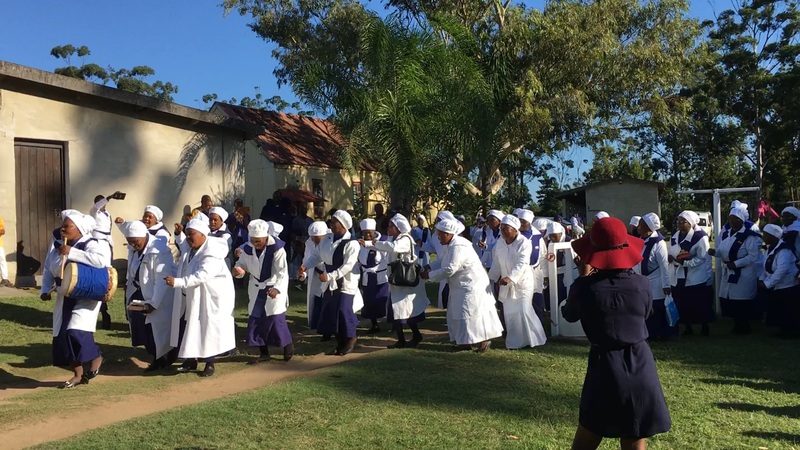 Carlene host’s at Sunbury while Umfundisi Shobede runs the Easter camp for his congregation. Greg travels to different services throughout the weekend from Thursday to early Sunday morning. Our typical Easter Sunday is spent sleeping and relaxing from a satisfying weekend. You can view more pictures of Greg’s meetings this weekend in our PHOTO ALBUM tab from the main menu of this site. A tradition amaZioni churches have for their Easter celebrations, is to act out scenes of the Easter story. You may view a clip of the young people as they begin mournfully marching to the cross of Christ. This is normally a long march lasting up to 30 minutes. This year was shorter, more like 10 minutes. Due to technical difficulties, this clip is very much shorter than that. However, it gives a quick glimpse of this Zion tradition. View a march of amaZioni ladies exiting their women’s meeting as they re-enact the women who loved Jesus and returned to the tomb to take care of His body. It is a celebratory march though, because we know that when they arrive, they will find it empty! 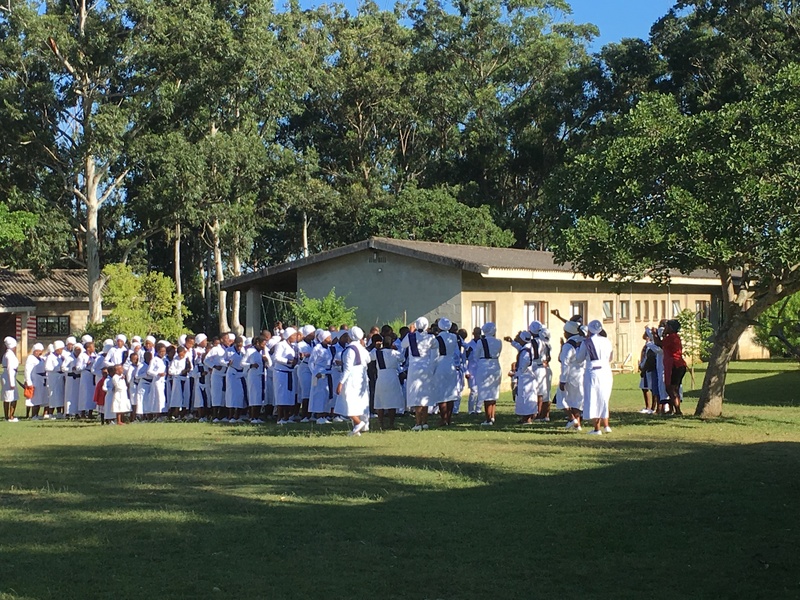 The Zion church that meets at Sunbury Christian Camp, is a Christian congregation that encourages all of their leaders to attend a Zion Bible School as a means of discipling their coming leaders. This amaZioni church includes a baptismal service as part of the weekend schedule. 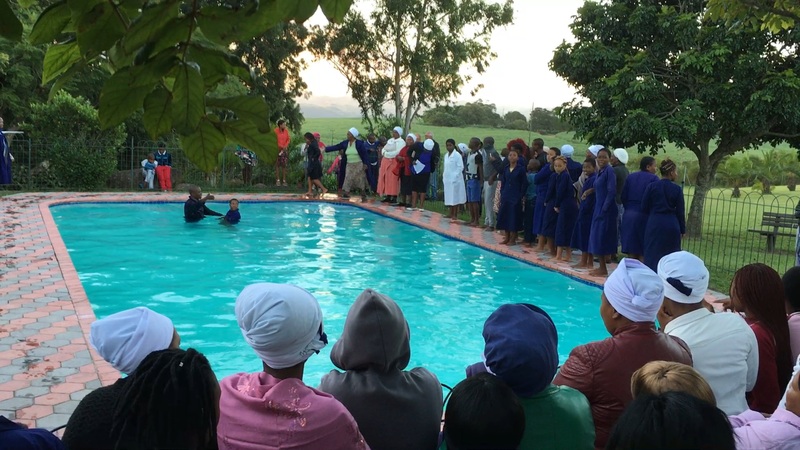 It is encouraging to see them performing baptism as a means of identifying with Christ instead of the African traditional practice of baptizing to cast out evil spirits.